Married at First Sight Australia couple Cam Merchant and Jules Robinson may appear to have a nearly perfect relationship, but there's one household habit causing ongoing strife since they moved in together post-show. "Sometimes Cam doesn't know what a washing basket is," Jules, 36, told E! News. "But when you point it out he will literally make the utmost effort to make the difference, which is what's important." And former pro cricketer Cam says he has a valid reason for his behaviour: "In men's world, there are different subtle levels of washing. You can wear shirts more than once so it just kind of sits there…"
Unfortunately, according to Jules, this means she has to "go around sniffing everything". Still, life outside the experiment for the newly engaged couple has largely been blissful. "We've been really good," business owner Jules said. "We really had to keep the engagement on the down low [until the final vows where Cam proposed aired], so it's lovely that now it feels real and we can actually start planning." That planning includes deciding when and how to pull off their 2019 wedding. The couple insist there's no truth to the rumours that they'll wed on Sept. 20, the reported one-year anniversary of their MAFS wedding but don't deny that some of their co-stars may serve in the bridal party. They're also open to having it televised so that fans can continue to feel a part of their relationship. "Our Married at First Sight wedding was such a beautiful wedding and we've both said that if we were to do it again it would be very similar because it just had a gorgeous feel to it," Cam, 34, told E! News. "It would just be more guests because we were only allowed a limited amount the first time." Added Jules with a laugh: "I'll wear cricket whites. He'll love that." 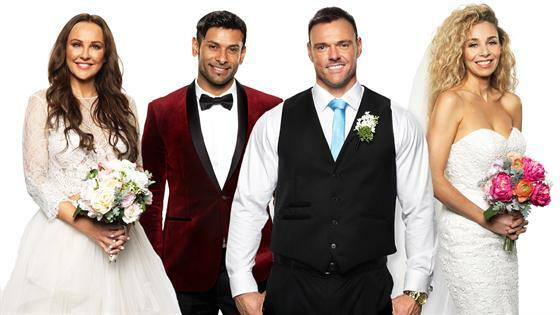 Married at First Sight Australia's final episode airs Tuesday at 7.30pm on Nine, with the two-part reunion special airing the following Sunday and Monday.